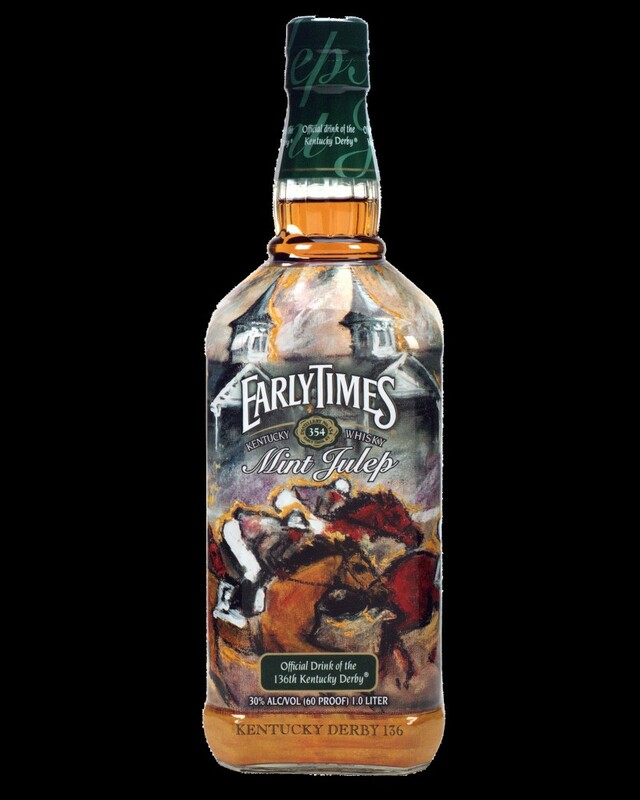 The Early Times Mint Julep tells BourbonBlog.com that they have proudly served “Official Drink of the Kentucky Derby” for the past 23 years. In celebration of this, Early Times Kentucky Whisky continues its tradition with the release of the 2010 commemorative Kentucky Derby bottle. During this year’s Derby week, more than 120,000 Early Times Mint Juleps are expected to be served at Churchill Downs. Over the past 23 years, more than 2.5 million Early Times Mint Juleps have been served between Kentucky Oaks and Derby Days at Churchill Downs. This year’s Kentucky Derby will take place Saturday, May 1, 2010 in Louisville, Kentucky. Celeste Susany was born in eastern Ohio in 1952. She spent a large portion of her life around horses in Santa Anita, Hollywood Park, and Del Mar, California. She received her degree from the Art Center College of Design in Los Angeles. Susany received recognition as a top American artist in the book Racing in Art, by John Fairley, published in 1990. She produced artwork in 1989, 1990, and 1996 for the Kentucky Derby. Churchill Downs, the world’s most legendary racetrack, has conducted Thoroughbred racing and presented America’s greatest race, the Kentucky Derby, continuously since 1875. Located in Louisville, the flagship racetrack of Churchill Downs Incorporated (NASDAQ Global Select Market: CHDN) also operates Trackside at Churchill Downs, which offers year-round simulcast wagering at the historic track. Churchill Downs will conduct the 136th running of the Kentucky Derby on May 1, 2010 and the Kentucky Oaks on April 30, 2010. The track will conduct its 2010 Spring Meet from Saturday, April 24, through Sunday, July 4. Churchill Downs is scheduled to host the Breeders’ Cup World Championships for a record seventh time on Nov. 5 and 6, 2010. Churchill Downs tickets are available at Tickets.ChurchillDowns.com or by calling (502) 636-4400. Additional information about Churchill Downs can be found on the Internet at www.ChurchillDowns.com.